ARE YOU READY FOR THE BUSIEST DESIGN & LIFESTYLE MONTH OF THE YEAR? September is, by far, our favourite month of the year. It’s a dazzling bundle of interior design fairs and festivals that celebrate our love of beautiful and stylish objects – from furniture to lighting, décor and accessories. Cities across the world dedicate entire weeks for a plethora of both established and emerging design brands to showcase their latest collections and to inspire us in our quest for the perfect living, working or entertainment space. MSH Agency will be attending some of the key events of this year’s design frenzy, with some of our most popular brands and with new additions to our illustrious portfolio. As is always the case, our agenda for September will start in Paris, France. 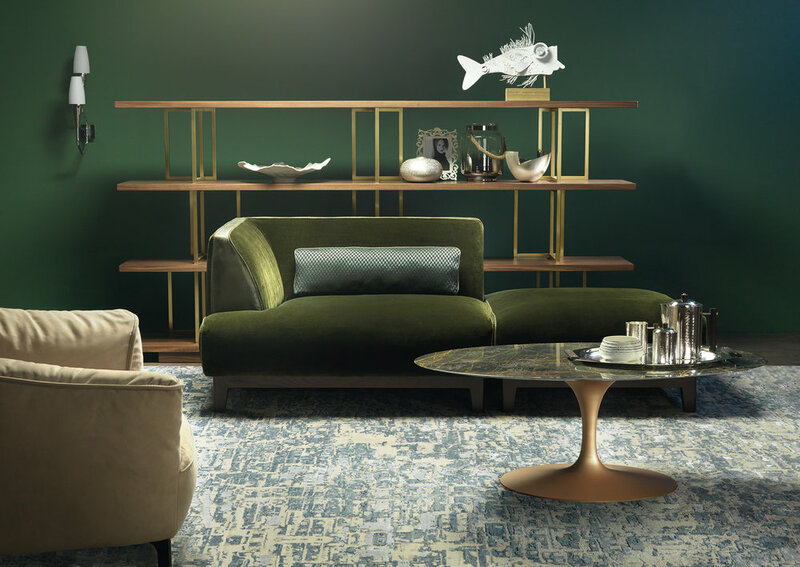 Maison & Objet, the international authority for interior design and lifestyle culture and a purveyor of the latest trends, will be taking place from 8th September until 12th September. It is once again poised to connect the international interior design and lifestyle community with a dazzling array of exhibitors who have dedicated their careers to making life more enjoyable. Our newest brand, Borzalino, will be present. The Italian luxury living atelier produces exquisite sofas, armchairs and various complements, all handmade by master craftsmen and well-known for their patience and attention to detail. Amongst the products that Borzalino will exhibit in Stand F174/G173 of Hall 7 at Maison & Objet are the Diva line, gorgeous seating with a leather finish and a nod to classy club chairs; Half-Moon, a wall ensemble solution that can combine a multitude of materials, including mirrors, leather and art prints; and Kris, a modern bookshelf with fine-grain wood and brushed brass structure that effortlessly amplifies any living space. Dubbed “the lifestyle trade fair”, Homi Milan takes place from 15th September until 18th September, and provides a beautiful itinerary through both classic concepts and the latest interior design trends, whilst embracing the union between design and technology. Exhibitors will once again be flocking to present their newest products, which range from furniture, lighting and décor to fashion, jewels and accessories. 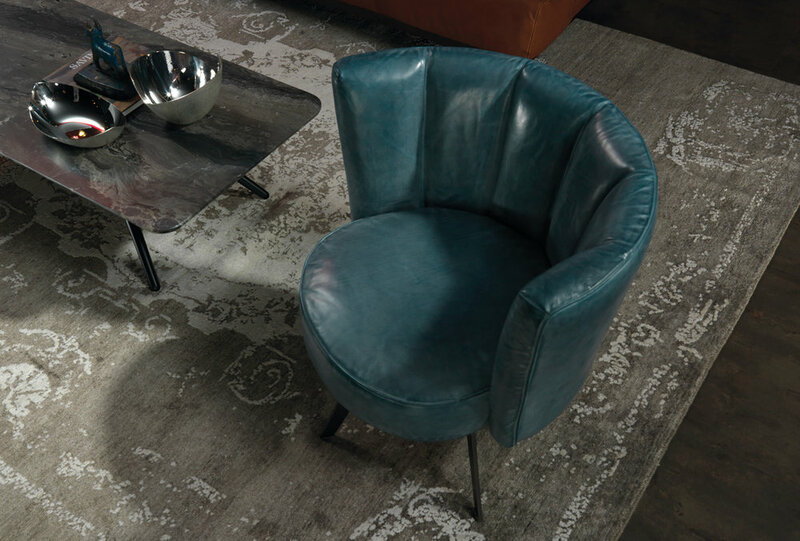 VG New Trend, our luxury brand from Treviso, Italy, will once again present some of their stellar designs, as well as their latest creations of high-end interiors. As masters of authentic and unique objects, VG New Trend is often characterised by a cultured and moderately ostentatious luxury, a trait which often results in truly breath-taking statement design pieces. Returning to Syon Park this year to kickstart the London Design Festival, Decorex carries an ample heritage of forty years, hosting critically acclaimed designers and manufacturers as they introduce some of their most coveted luxury interiors to the British market. Officina Luce, our prime lighting brand, will be showcasing some of its centrepieces at the Sofa & Chair stand, part of this Decorex edition. Visitors will get to feast their eyes on the gorgeous chandeliers that were used in some of London’s sumptuous interior project, including the Park Crescent residential suites. Our next stop will be the London Design Fair, unravelling in the creative heart of East London at the Old Truman Brewery between 21st and 24th September. It is a relatively new but eminent industry event that stretches over the course of four days and brings together over 500 exhibitors from 28 countries. Independent designers, top brands, international country pavilions, features and exhibitions will be putting forward new designs and living concepts for an expected audience of approximately 27,000 people, most of them retail buyers and design aficionados, architects, interior designers and industry influencers. We’ll be there with Caino Design, experts at bringing the “Made in Italy” stamp of excellence into the creation and manufacture of decorative screens. The brand will present some of its bestsellers at the Super Brands Hall during London Design Fair. Known for their intelligent combination of steel processing techniques with beautiful designs and artistic research, Caino Design is dedicated to delivering sophisticated environments through intricate decors. To those of you familiar with the extravagant and exhilarating experience of luxury yachting, the Monaco Yacht Show will bring the month of September to a spectacular end. Taking place from 27th until 30th September, the event curates a superb exhibition of 125 one-off superyachts, built by some of the world’s most respected shipyards. The Monaco Yacht Show also sees the launch of 45 new models in a worldwide debut, and the showcase of yachting industry products, collections and designs from 580 leading companies in the field. Sponsored by Ulysse Nardin and encompassing the launch of the 9th “Monaco” limited edition series, this year’s yacht show promises a continued commitment to extraordinary design and elevated lifestyle. We’ll be there with Annibale Colombo, our long-time friend and luxury furniture brand that has been making the rounds in yachting interior design over the past couple of years. Occupying a 50-metre stand at the Monaco Yacht Show, the Italian manufacturer will exhibit the latest from their gorgeous nautical collection – each a noteworthy example of what happens when tradition and craftsmanship cross paths with innovative design.